Blog Awards Ireland 2013: The shortlist! 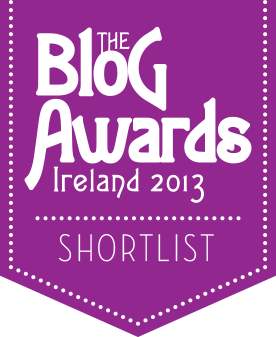 More excitement in my house this weekend: Wait til I tell you has made the Blog Awards Ireland 2013 shortlist! Women Rule Writer – by prolific Irish writer Nuala ní Chonchúir. Nuala’s is one of the longest-running Irish writer blogs. Best of luck to all the other shortlistees for the next stage of the competition: the Finalist List, to be published on September 29th. Here are the other blogs in the Arts and Culture category. Do check them out and subscribe to any that grab you! Posted on September 16, 2013, in Writing and tagged blog awards ireland, irish blog awards, new irish writing, shortlist, writers. Bookmark the permalink. 8 Comments. Oh wow, congrats! Richly deserved. That’s fantastic, Orla. Well deserved!